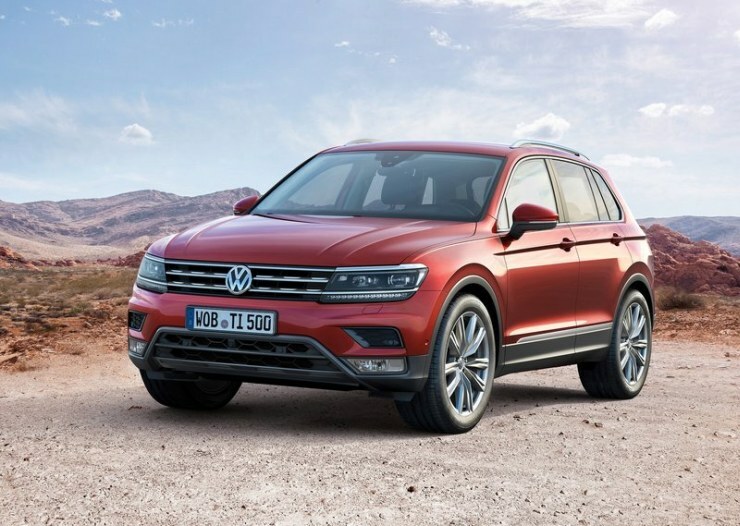 Volkswagen has just unwrapped the Tiguan SUV at the ongoing Frankfurt Motor Show of 2015. 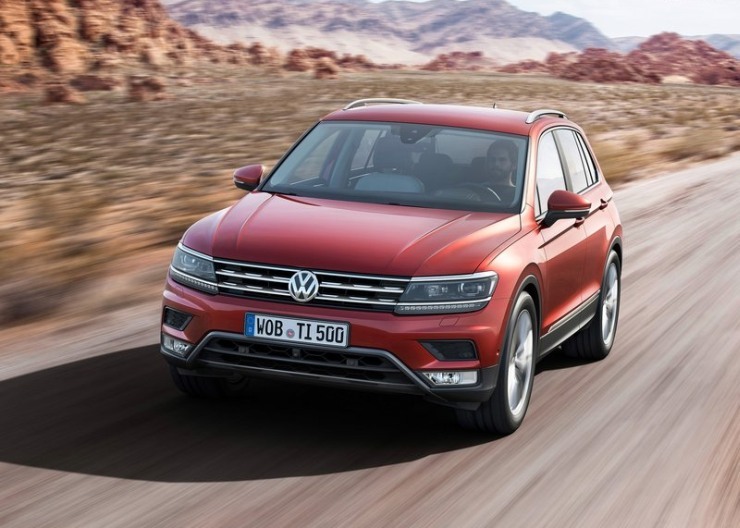 The Tiguan being showcased is the second generation version, one that hops on to the MQB platform. The SUV is a part of Volkswagen’s plans for India. However, it won’t be until end-2016 before the Tiguan reaches Indian shores. 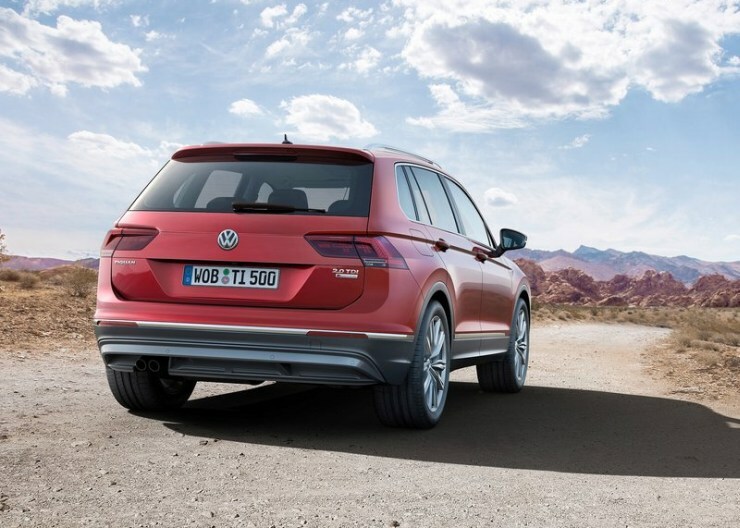 While Volkswagen is showcasing the short wheelbase, 5 seat version of this SUV at Frankfurt, a longer wheelbase model, replete with 7 seats will debut in 2017. For India though, this SUV is expected to feature the shorter wheelbase. In terms of pricing, the Tiguan could sit bang in Fortuner-Santa Fe territory. Also see – 7 seat luxury SUV or 5 seat German luxury crossover? So, what does the new Tiguan offer buyers? First of all, styling of the new SUV is more mature, with understated European lines forming a part of much of the design. The Tiguan looks like an Audi Q3 in Volkswagen clothes, and this is a good thing. Longer and lower than before, the new VW SUV is more of a luxury crossover, just the kind of stuff that buyers now seem to want. 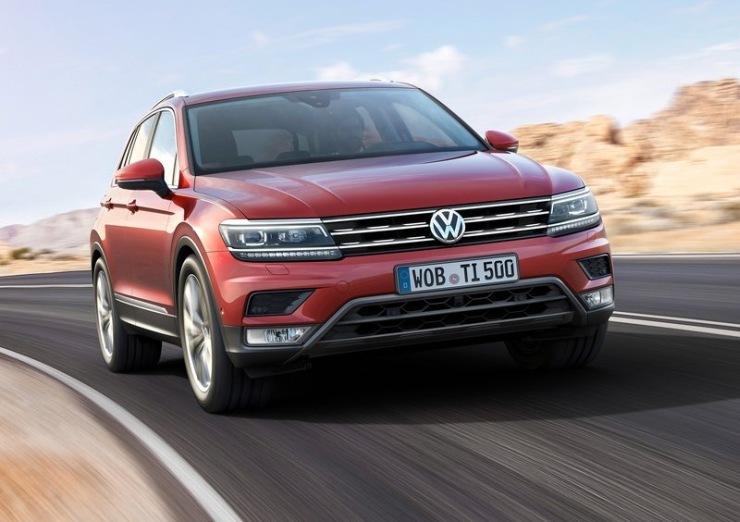 The Tiguan is equipped with a monocoque body, and weight savings of the MQB platform are quite significant. Nearly 50 Kgs have been shaved off, while the suspension set up has been reworked to give the new SUV good dynamics on the road. The SUV can be specified with both front and all wheel drive layouts. Now, this is a distinct character of the MQB platform, which allows designers the flexibility of putting together vehicles that suit both fuel efficiency conscious and off road performance oriented buyers. It’s the 21st century and automaker are keeping with the times. Connectivity options on the Tiguan reflects just this. Wireless charging, an App Connect interface that works with both Android and iOS mobile phone platforms, and tablet connectivity are offered, along with a few more market specific services. Under the hood, Euro-6 emission norms compliant TSI turbo petrol and TDI turbo diesel engines will be served up. Outputs will range between 125 PS to 240 PS. Both manual and twin clutch automatic gearboxes will be offered. All engines feature direct injection, stop-start system and battery regeneration as standard fare. 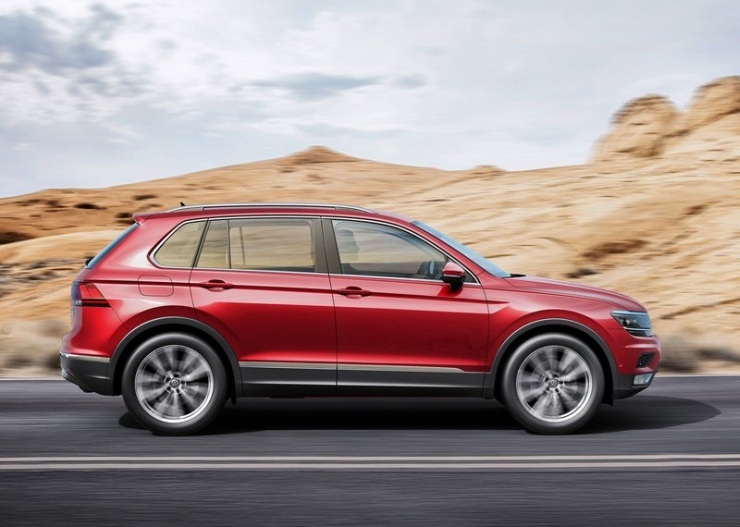 The Tiguan offers a 189 mm ground clearance for the front wheel driven models, while the 4MOTION all wheel drive equipped variants get an additional 11 mm of ground clearance. Also, this SUV can be specified with a optional off road front end, making for a steeper approach angle. In terms of safety features, the new SUV ups the ante. From City Emergency Braking and Pedestrian Monitoring to Lane Departure Warning and an active (pedestrian friendly) bonnet, the Tiguan is one of the safest SUVs ever built by Volkswagen. Other safety features such as ABS, traction control, airbags and ESP are standard.